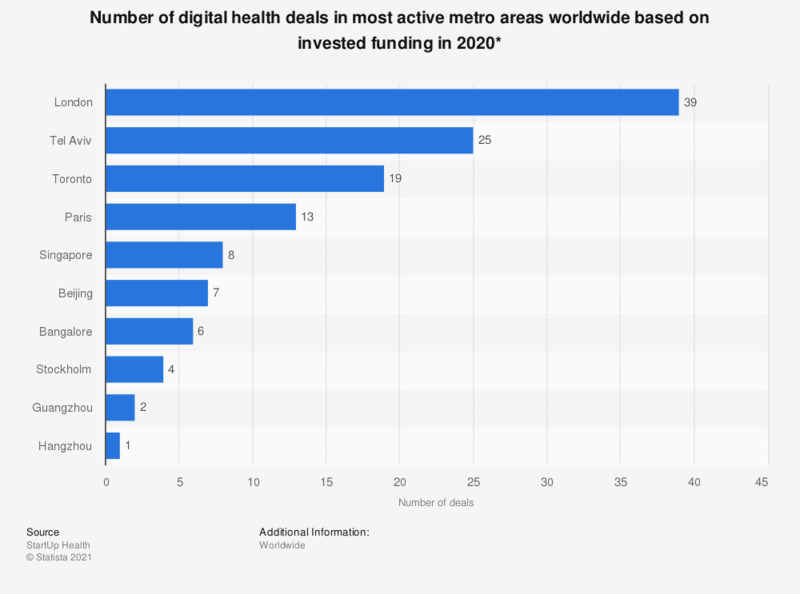 This statistic displays the number of investment deals made in the most active metro areas outside the U.S. in the digital health industry in 2018. During this year, the Beijing metropolitan area accumulated 21 investment deals. Investors have begun to invest larger amounts of money in fewer companies. Healthcare reform in the U.S. has also driven the market to create new and effective solutions. * Excluding the United States. Report based on public data through 12/31/18 on seed (incl. accelerator), venture, corporate venture, and private equity funding only.